You finally got the promotion you worked so hard for and relocated to Brooklyn from Philadelphia to enjoy your new position. You’re settling in – you love Park Slope and all it has to offer. You’ve found some of the best restaurants in the area, and the right grocery store, but there’s one choice that leaves you overwhelmed – finding the right dentist in Park Slope. 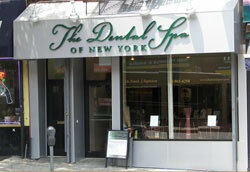 With these tips from The Dental Spa of New York, you’ll be able to make the process easier than you ever expected. Professional Credentials – Find out where your dentist when to college and search for someone who’s a member of the American Dental Association (ADA). With over 25 years of experience, Dr. Sapienza is affiliated with the ADA and is a proud graduate of the New York University College of Dentistry. And, he’s a published author who’s shared his technical dental knowledge. Services – While it may seem obvious, make sure that your dentist actually offers all the services you need. For example, not every dentist provides cosmetic services, and many cannot place dental implants. Our practice can, though – we offer comprehensive care so you’ll never need to be referred out. Chairside Manner – Personality means everything in a health relationship. Dr. Sapienza prides himself on being approachable and compassionate, and makes sure each patient receives the best dental care in NYC. Ratings – There’s nothing better than seeing what other patients have to see about the dentist you’re considering. Learn from their experience and read online reviews and ratings – if you look up our practice, you’ll see we’ve got 5/5 stars because we treat our patients like gold. Logistics – Be practical, too – look at office hours, location, and insurance compatibility. We’re easy to find at the intersection of 5th Avenue and 7th Street in Brooklyn, we offer Saturday appointments for our busy patients, and accept the vast majority of plans. We’re happy to submit claims, and offer CareCredit financing for those worried about coverage gaps. Now that you know what to look for in your new dentist, and that The Dental Spa of New York has everything you’re looking for, schedule your appointment today and keep your smile healthy and bright!